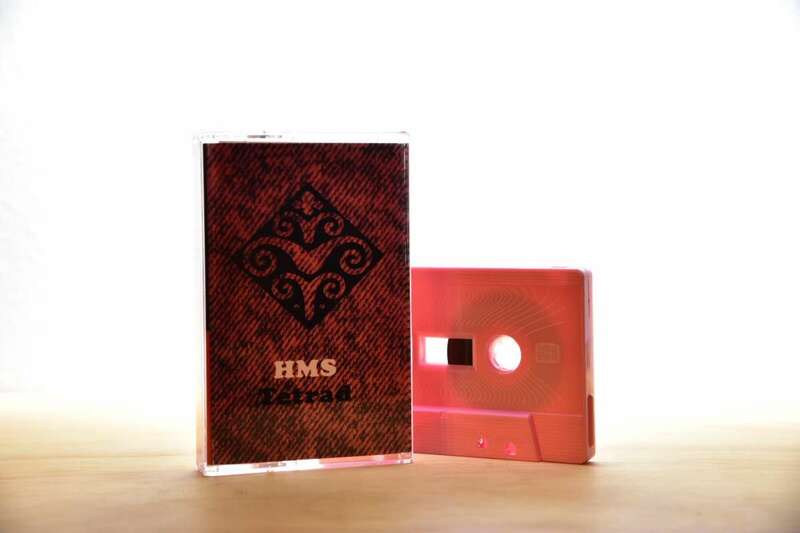 Astral Spirits is proud to present the fourth release from the incredible improv collective HMS who have been making music together since 2009. Born as a trio and having since grown to a quartet, HMS have slowly and deliberately created a very singular group sound. HMS was born from a meeting of Joe Houpert & Nathan McLaughlin (who recorded as Loud & Sad) with Erich Steiger in Baltimore…where they recorded their debut album “Resolution.” Since that time they have had releases on Avant Archives and Small Scale Music in 2011 & 2015 respectively. Whereas their previous releases were born of a particular moment (an improv meeting, a soundcheck, etc) “Tetrad” finds the quartet using the studio to create compositions from improvisation. Both the electronic elements and the acoustic instruments have more room and sharpness. “Retriever” for example builds off of clicks and hums with drums and violin slowly creeping in until they take off into free improv flight. Think Henry Flynt meets Cluster meets Revolutionary Ensemble. Not really free jazz, not really electronic, not really fully improv but someone in the midst of all that you’ll find HMS waiting for you. They’ve been ahead of the game for a while now. HMS “Tetrad” is out June 23, 2017 in an edition of 150 cassettes with digital download. Mixing and Mastering by Perrucci Sound. Thanks to Michael Jantz, Raphaël Foisy, Nate Cross & Astral Spirits.